The Geddes Letter Web Site is a collection of over 100 letters written between early Washtenaw County settler John Geddes and his brother William in Pennsylvania. 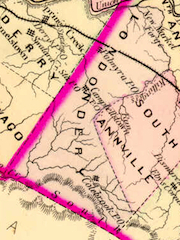 The letters begin in 1825 and end in 1844 when William moved to a farm in Pittsfield Township. The letters were found in abandoned house in Groton, Massachusetts in the late 1990s. They were purchased by Professor Russell E. Bidlack from a collector and later donated to the Bentley Historical Library. Professor Bidlack transcribed many of the letters and was assisted by members of the Washtenaw County Historical Society. The Geddes Letter website is a collaboration between the Ann Arbor District Library, the Bentley Historical Library, and the Washtenaw County Historical Society. The letters offer a first-person glimpse of the social, political, and economic life in Washtenaw County before 1850. In early letters, the bachelor brothers discuss their quest for finding a suitable bride. Other letters discuss family health—always of great concern in an era of outbreaks of cholera and tuberculosis. 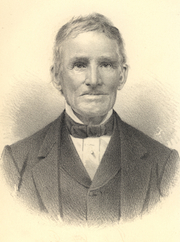 John Geddes (1801-1889) was an important figure in early Washtenaw County history. 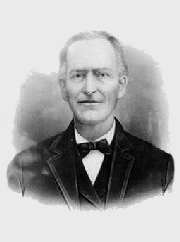 He arrived in 1824 and with his brother Robert, purchased land in Ann Arbor, Pittsfield, and Superior townships. They operated a sawmill first on Fleming Creek and later on the Huron River at the former settlement of Geddes. During his life, John Geddes was politically active and was elected to various local and state offices including Justice of the Peace and State Representative. 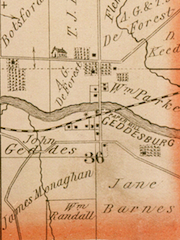 Today, the Geddes family is remembered for the settlement of Geddes (or Geddesburg) that at one time had its own post office and railroad station as well as Geddes Road, Geddes School, and the Geddes Lakes housing development. Geddes and Randall Families Papers 1771-1950, Bentley Historical Library, University of Michigan. Russell Bidlack. “Dear Brother, The letters of Washtenaw County Pioneer John Geddes 1825-1844.” Impressions. Washtenaw County Historical Society. March 2001. Pauline Walters. “Twenty Years ... Two Brothers and their Letters.” Impressions. Washtenaw County Historical Society. September 2012. Charles C. Chapman. History of Washtenaw County, Michigan … Chicago : Chas. C. Chapman & Co., 1881. The Diary Entries of John Geddes of Washtenaw County, MI.